David Klingbeil received his Ph.D. from the University of Minnesota in 2013 after completing an APA-accredited internship at the Louisiana School Psychology Internship Consortium. 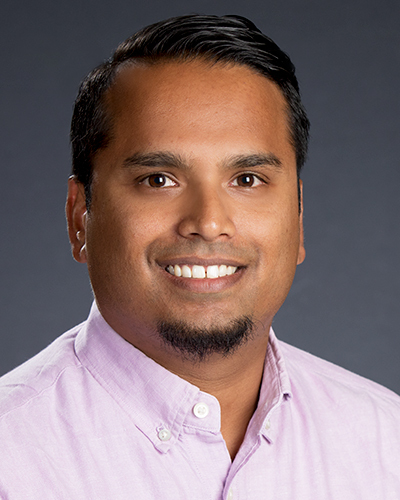 The primary goal of his research is to facilitating educators' use of evidence-based practices to improve students' academic and social-behavioral outcomes. Evaluates popular educational practices to identify moderators of effectiveness; studies evidence-based practices in an effort to improve efficiency including methods for identifying students needing additional support and interventions targeting students' academic and social-behavioral outcomes. Klingbeil, D.A., Van Norman, E.R., McLendon, K.E., Ross, S.G. & Begeny, J.C. (2019). Evaluating the tau-u effect size with curriculum-based measures of reading and the impact of measurement error. Behavior Modification, 43, 413–438. doi:10.1177/0145445518760174. Klingbeil, D.A., Dart, E.H. & Schramm, A.L. (2019). A systematic review of function-modified check-in/check-out. Journal of Positive Behavior Interventions, 21, 77–92. doi:10.1177/1098300718778032. Klingbeil, D.A., Van Norman, E.R., Nelson, P.M. & Birr, C. (2018). Evaluating screening procedures across changes to the statewide achievement test. Assessment for Effective Intervention, 44, 17–31. doi:10.1177/1534508417747390. Klingbeil, D.A. & Renshaw, T.L. (2018). Mindfulness-based interventions for teachers: A meta-analysis of the emerging evidence-base. School Psychology Quarterly, 33, 501–511. doi:10.1037/spq0000291. Klingbeil, D.A., Van Norman, E.R. & Nelson, P.M. (2017). Precision of curriculum-based measurement reading data: Considerations for multiple-baseline designs. Journal of Behavioral Education, 26, 433–451. doi:10.1007/s10864-017- 9282-7. Klingbeil, D.A., Nelson, P.M., Van Norman, E.R. & Birr, C. (2017). Comparison of universal screening methods for students in upper elementary grades. Remedial and Special Education, 38, 308–320. doi:10.1177/0741932517697446. Klingbeil, D.A., Renshaw, T.L., Willenbrink, J.B., Copek, R.A., Chan, K., Haddock, A. & Clifton, J. (2017). Mindfulness-based interventions with youth: A comprehensive meta-analysis of group design studies. Journal of School Psychology, 63, 77–103. doi:10.1016/j.jsp.2017.03.006. Klingbeil, D.A., Moeyaert, M., Archer, C., Chimboza, T.M. & Zwolski, S.A. (2017). Efficacy of peer mediated incremental rehearsal for English language learners. School Psychology Review, 46, 122–140.